TheStreet's biotech contributor Nathan Sadeghi-Nejad looks back at his hits and misses with Amylin, Elan, Gilead Sciences, Onyx and Verastem. NEW YORK ( TheStreet) --As a few of you might have guessed from the contrast between my hard-to-pronounce last name and white-guy visage, I'm half-Persian. My dad was born in Iran and came to the U.S. to attend college; my mom's family is from Germany. Last week, my family celebrated Nowruz (literally translated "new day"), which is the Persian New Year and always occurs on the first day of spring. Upon the long-delayed FDA approval for the diabetes drug Bydureon, Richard Pops, CEO of Amylin's partner Alkermes, tweeted "Game on." So far though, Amylin's game is way off. "Bydureon's commercial launch looks to be flailing, if not quite yet failing. Wall Street analysts, nervously bullish, have already started to make excuses. Despite only a few weeks of prescription data, sellside notes are filled with reassurances: It's still early days in the Bydureon launch. True, I agree with that. 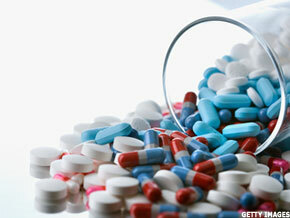 The number of Bydureon prescriptions written to date is "similar" to competing diabetes drugs. I guess, but only if you apply a broad definition to the term "similar." Amylin's sales force "wasn't yet ready." That's a weak defense, given Eli Lilly ( LLY jumped exiting the Byudreon partnership three months before the drug's FDA approval. From my view, Bydureon, a once-weekly GLP-1, is lagging the commercial launches of Byetta, Amylin's other diabetes drug, and Novo Nordisk's ( NVO Victoza, a once-daily GLP-1. Comparing Bydureon to Victoza is particularly apt and damning: Byudreon cumulative scripts are already more than 20% behind Victoza at comparable time points. If Bydureon were the revolution that bulls had hoped for, the drug should at least be launching in-line with Victoza. The excuses feel especially weak given Bydureon's advantages: High physician awareness, wide acceptance of the GLP-1 drug class and (according to the Amylin bulls) a competitive dosing advantage. One other issue should worry the bulls: Amylin raised $200 million earlier this month in a secondary offering. I don't begrudge a "strike while the iron is hot" mentality, particularly when shares are up and management likely sees dark clouds gathering. Yet the move comes shortly after the company highlighted its tight expense control and guided to only a slight non-GAAP operating loss for 2012. Why do they need the money now? It seems like a red flag that suggests management has low confidence in the company's internal Bydureon launch estimates. Either way, prescriptions don't lie. So far, Amylin is confirming the healthcare aphorism cited in my initial review: "The worst thing a company can do is bring a drug to market." Elan bulls are getting revved up again about bapineuzumab's prospects. Shares have gained 22% since I wrote of my concerns about the experimental Alzheimer's disease drug. Data from the first Phase III trials of bapineuzumab -- which enrolled Alzheimer's disease patients with the unfavorable ApoE4 mutation -- and an "all comers" trial of Lilly's copycat drug, solaneuzumab, should be available by mid-year. This time, I doubt Elan's spin machine will be able to obscure bapineuzumab's failure. With the company's market capitalization nearing $9 billion, the Elan short now looks even better. I give myself half credit. I correctly advised avoiding Gilead Sciences in the mid-$50s due to high expectations and the risk of less-than-pristine data for GS-7977, the company's key hepatitis C drug candidate. Gilead shares are down 15% since my column. Unfortunately, I also guessed GS-7977 would show superior efficacy to Vertex Pharmaceuticals' Incivek; that estimate now seems less likely to be correct. That Gilead might have acquired an $11 billion time bomb in Pharmasset now seems quite possible and would be a massive failure for an executive team that I have always held in high regard. Either way, I still doubt there are enough hepatitis C patients to go around and suspect Wall Street analyst sales estimates remain too high. Earlier this month, data at the Conference on Retroviruses and Opportunistic Infections (CROI) showed that virtually none of the "null" patients -- a recalcitrant subgroup with no response to prior therapy -- sustained a response four weeks after stopping treatment, an indicator of efficacy known as SVR4. The disclosure immediately flipped investor sentiment from giddily bullish to extremely concerned. Trial designs and treatment regimens for hepatitis C are obscenely complicated, not to mention obsessively dissected by investors, so let's keep it simple. Gilead shares soared when the company reported early data suggesting an all oral GS-7977 and ribavirin regimen could suppress viral loads. The data at CROI show that, at least in null patients, that response is not sustained. Gilead will present additional data in untreated, or naïve, patients at the European Association for the Study of the Liver conference, or EASL. (Don't you love these acronyms?) The company will also unveil SVR4 results from another naive patient-containing trial, QUANTUM, within the next few weeks. By making a few calculations -- I will spare you the details -- I now expect an unexciting 50-60% cure rate from these GS-7977 studies. It looks like Gilead will have to remix the drug cocktail, adding another drug to boost efficacy, to achieve more competitive hepatitis C cure rates. I would remain on the sidelines with regards to Gilead shares. Gilead's pain has been Vertex's gain, with the latter's shares up 14% despite underwhelming Incivek prescription data. Vertex is also benefitting from early Phase II results suggesting a triple combination of Incivek, the experimental Vertex drug VX-222 and ribavirin may be potent enough to exclude the use of injectable and difficult-to-tolerate interferon. An interferon-free regimen would be a big positive, especially since there are hints of reduced rash, a key Incivek side effect. I'm starting to get my usual Hep C headache, so let's cut to the chase: Bold investors might consider owning Vertex shares into next month's EASL conference. The dynamics are complicated, so I wouldn't suggest a big position. Meanwhile, Gilead seems likely to be stuck in neutral for awhile. In related news, I'm stocking up on Advil and heading to Barcelona for EASL's big hepatitis C meeting next month. Look for tweets (follow @natesadeghi) and reports published by TheStreet. Is the FDA's usually tough Oncologic Drugs Advisory Committee (ODAC) going soft? That could be good news for Onyx Pharmaceuticals' carfilzomib, with an FDA approval decision date of July 27. Unlike most investors, I think Onyx has a shot at approval. Last week, ODAC voted 7-to-4 with two abstentions in favor of recommending accelerated approval to Talon Therapeutics' ( TLON Marqibo, a a liposomal formulation of the anti-cancer drug vincristine for the treatment of acute lymphoblastic leukemia, or ALL. Accelerated approval is an FDA regulatory pathway that allows a drug to be approved based on surrogate endpoints and therefore brought to market faster. Admittedly, I expected the FDA's ODAC panel to reject Marqibo, which generated confirmed responses in 15% of patients with response duration of only 28 days, according to the FDA's analysis. The lower end of the 95% confidence interval -- statistically, a guess as to the worst-case median result -- dipped well below a 10% response rate. Despite this unimpressive efficacy and some safety issues, panelists cited the limited options for Marqibo's late-stage patient population as the justification for a favorable vote. One panelist even said he expected Talon's confirmatory trial to fail as he voted in favor of approval. Few investors expect Onyx' carfilzomib to receive accelerated approval for late-stage multiple myeloma, and Talon's Marqibo may yet -- and probably should -- be rejected by the FDA (the panel vote isn't binding.) Nonetheless, the favorable vote highlights how sympathetic even ODAC can be towards drugs for salvage patients. That carfilzomib looks far more effective and safer than Talon's Marqibo only adds to my confidence. Although the drugs target different diseases, carfilzomib's response rate (24%) and duration of response (7.8 months) is far more impressive than the results that garnered Marqibo a positive vote. As I was with Talon, Onyx skeptics may well be surprised. Yet there is an important and unexpected endnote to my Verastem column: Shortly after publication and at the suggestion of a mutual connection, Verastem Chief Operating Officer Robert Forrester reached out for a conversation. Only rarely does a company engage directly with a vocal skeptic; usually, management either discretely ignores or openly bashes its critics. Even though we disagreed on some points -- including the extent to which animal safety data will help identify salinomycin's therapeutic window in humans -- Forrester's willingness to have an adult conversation really impressed me. I'm a firm believer that honest dialogue drives long-term success. Investors should take note: Verastem won't be worth $20 per share for a while, but management is a class act. Disclosure: Sadeghi-Nejad has no position in any of the stocks mentioned in this column.